There’s nothing better than receiving a heartfelt greeting card from a friend or loved one to wish them a happy festival! 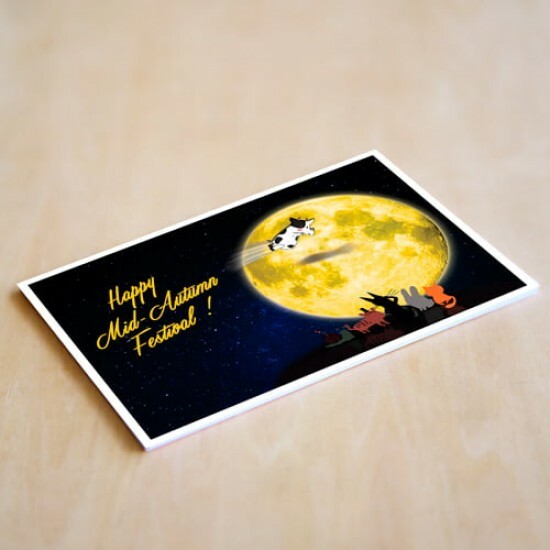 Forget generic cards that will be easily discarded, allow us to convey your personal message on each card using the space provided above (maximum of 250 characters) and create a greeting card that will be cherished. Our high-quality greeting cards are printed on ~10cm x 16.5cm premium card stock and arrive in envelopes with a beautiful satin finish.